Active, residential real estate prices in Caslan had an average listing price of $192400. Currently the most expensive listing in the area is $324900, while the lowest priced property can be purchased for only $49900. An excellent way to compare real estate prices is by using price per square foot of living space. Caslan has a current average price of $208 per square foot. 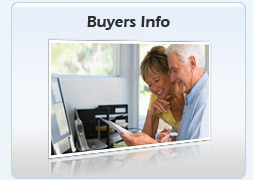 This is for homes that are averaging 2.8 beds, 1.3 bathrooms and 859 sqft. 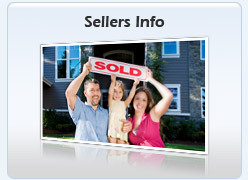 Click on area links below for areas stats, area news and active real estate for sale. 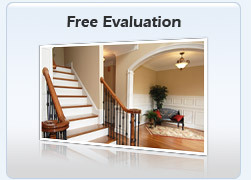 I am interested in a Free Caslan Home Evaluation. Driver killed in two-vehicle crash north of Edmonton - Edmonton Journal Driver killed in two-vehicle crash north of Edmonton Edmonton JournalA fatal collision in northern Alberta late last week has left one man dead and three more people hospitalized. RCMP look for boater who is believed to have died on northern Alberta lake - Global News RCMP look for boater who is believed to have died on northern Alberta lake Global NewsA search is underway for a boater last seen in Skeleton Lake in northern Alberta on Wednesday morning. Body of missing boater found on northern Alberta lake - Global News Body of missing boater found on northern Alberta lake Global NewsThe 67-year-old man was last seen the morning of May 23 calling for help after falling out of his boat. Two teens, four adults in custody after lengthy overnight pursuit - CTV News Two teens, four adults in custody after lengthy overnight pursuit CTV NewsRCMP have outlined the series of events leading up to the arrest of six individuals south of Edmonton Friday morning. Wetaskiwin RCMP Make Arrests Following Shots Fired - Lacombe Online Wetaskiwin RCMP Make Arrests Following Shots Fired Lacombe OnlineInvestigation continues into a series of incidents that began early this morning in Lac la Biche, and resulted in the arrests of six individuals in Wetaskiwin County. Rescue teams search Skeleton Lake for missing boater - Edmonton Sun Rescue teams search Skeleton Lake for missing boater Edmonton SunRescue teams are searching for the body of a man who reportedly fell out of his boat on Skeleton Lake in northern Alberta. Hefty fine, time served for long list of charges - Athabasca Advocate Hefty fine, time served for long list of charges Athabasca AdvocateA 45-year-old man from the Buffalo Lake Métis Settlement landed a 105-day prison sentence and a $4,990 fine for a laundry list of offences dating back to 2014. Four charged in series of incidents in Lac La Biche and Wetaskiwin - CTV News Four charged in series of incidents in Lac La Biche and Wetaskiwin CTV NewsFour people are facing charges after armed robberies in the Lac La Biche area and a pursuit around Wetaskiwin early Friday morning. Sq. 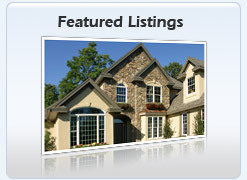 Ft.: 859 sq ft. 526 sq ft. 1020 sq ft.
Price / Sq. Ft.: $208 /sq ft. $95 /sq ft. $320 /sq ft.
Click here if you are interested in accessing all Caslan Real Estate including surrounding areas complete with addresses and days on the market.